Only 30 min from Lisbon, this is our bestseller private tour to discover why Sintra is one of the most romantic places in the World, famous for it’s Royal Palaces and Castles, and considered Unesco World Heritage since 1995. Including also a visit to Cascais, old fisherman village, passing Cabo da Roca, once called “The End of the World”. The most amazing castles and palaces in the country are here around this area, so close to Lisbon, on our daily private tours, with the experience of our private guides. 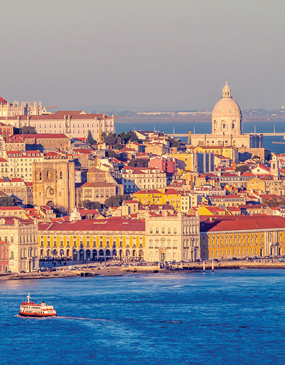 This is the perfect tour for first-time visitors in Lisbon, to cover the most possible of the city in one single day, and to learn more about one of the oldest cities in Europe, capital of Portugal. Learn from our experienced private guide, the glory from the discoveries period, the navigators, and the history of the kings. You will get an experienced private guide with your tour, providing you transportation and guiding around the major places of Lisbon, including Belem, Downtown, Rossio/Baixa, Alfama and much more. 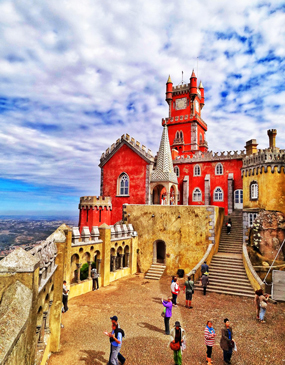 Only short distance from Lisbon (30min), this is the best tour to explore Sintra, for guests who like history and nature, and visit the best highlights of Sintra, including the Pena National Palace, Capuchos Cork Convent and Gardens, Cabo da Roca, the European Westernmost Point, and much more, with our private guide. Learn why Sintra became under UNESCO since 1995 and why it was the center of romantic architecture in Europe! 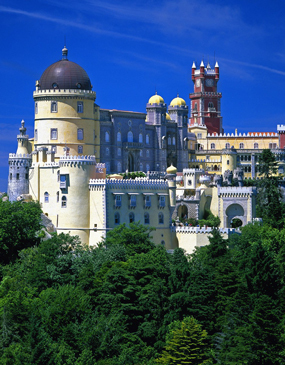 The most amazing castles and palaces in the country are here in Sintra. 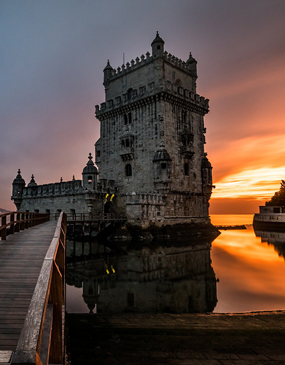 This is the best combination to visit the two most famous medieval towns in Portugal, in one single day, from Lisbon. In the morning, visit Sintra, Unesco Heritage, and located only 30min away, famous for its beatiful medieval castles, historical palaces and old mansions, including the Pena National Palace. 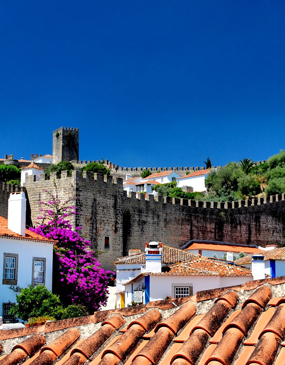 In the afternoon, head to Obidos, 1h from Sintra, and visit the old, ancient, medieval town and castle village, place of Kings and Queens for over 800 years of history, with the help and assistance of our personal private guide. Only 30min distance from Lisbon, this tour will cover Sintra, and a visit to Pena National Palace, former Royal Palace of Portugal, followed by Mafra National Palace and Convent, also former Royal Palace of the Portuguese Kings, considered among the two most important Royal Palaces of Portugal, finishing with optional stop at Ericeira. This is a special combination for guests who wish to maximize their time and visit two Royal Palaces in one single day. This is one of best private tours to explore Lisbon, Estoril, Cascais and Cabo da Roca in just one day. 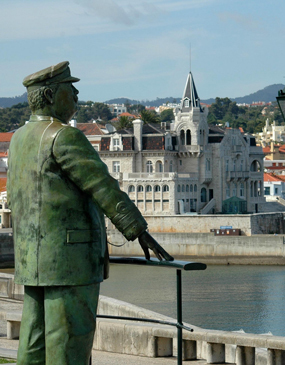 In the morning we will visit the Belem historical area of Lisbon, and after head to Cascais for a visit to Estoril and Cascais, the most famous fisherman village of Portugal, famous for the best seafood restaurants and pristine beaches. Visit the old Citadel of Cascais, and also stop at the famous Guincho beach. Last stop will be Cabo da Roca, the Westernmost Point of Europe, on the coast of Lisbon. With the assistance of our Private Guide, get the most relaxed day exploring all these locations in one single day. . 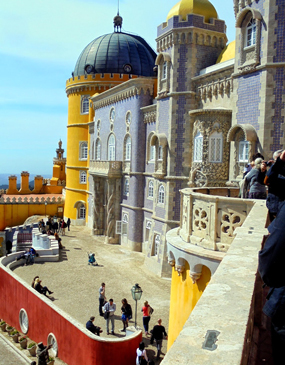 This is a great option for guests with very limited time in Lisbon, that wish to combine Lisbon and Sintra, in one day single day, covering it’s top highlights. Although difficult to cover everything in such short time, we will get the best from both places in one day, passing by the most important attractions, while traveling along the history and culture of our people, with the help of our experienced private tour guide, such as Pena National Palace, Belem, and Downtown Lisbon. Head out on this Private Tour to Fatima, the religious capital of Portugal, famous for its Shrine, that honors the appearance of Our Lady in 1917, just 1h outside Lisbon. 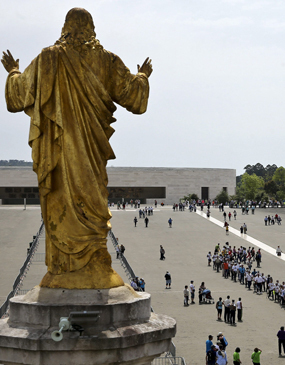 Fatima is one of the major sanctuaries in the world, receiving millions of pilgrims every year. On this Tour, you’ll visit the main Sanctuary, together with all the sites around, related with the apparitions of Our Lady, learning the history with our private guide. Includes time for Mass in the morning, and visit the little children houses nearby. -> Pope Francis visited Fatima in May 2017 and canonized the children as the youngest Saints of the Catholic Church! Book this Private Tour to get the best from both Fatima and Obidos Medieval Village. Located at 1h+ driving from Lisbon, this is a perfect tour outside the city of Lisbon and to know more about our beautiful country and heritage. 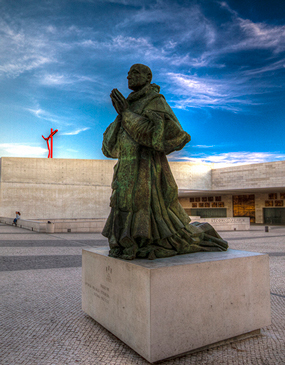 We start in the morning with a visit to Fatima Sanctuary and optional time for mass, considered one of the most famous Catholic sites in the world, followed by an optional visit to Nazare fisherman village and stop for lunch. In the afternoon, we make a visit to famous Obidos Medieval Village and it’s Old Castle. This is the perfect countryside tour to know some more about our history and visit the countryside, 1h from Lisbon, on a very special private day tour. 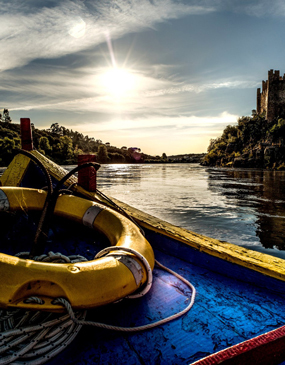 In one day we will be covering one of the most beautiful villages in Portugal, TOMAR, north of Lisbon, famous for it’s Knight Templars Order Castle (Convent of Christ), built 800 years ago, and also ALMOUROL CASTLE, stronghold built in the middle of the Tejo River. 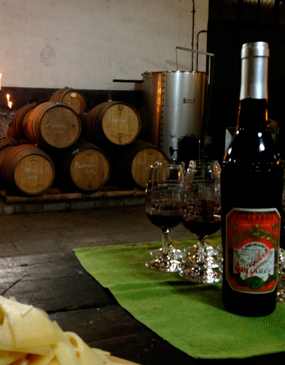 For wine lovers, we have prepared this special tour. Combining what Sintra has best to offer, we will include a visit to some of the major highlights of this amazing place, including a guided visit to Pena National Palace and the old medieval village. 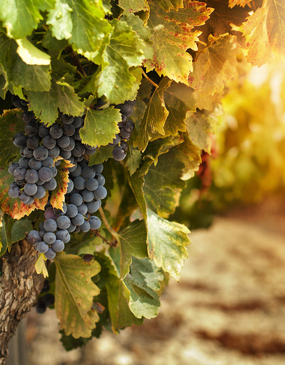 In the afternoon, we will visit a local wine cellar, with 200 years, where you will sample some of the best wines of the region, on a very exclusive visit. This is one of the best half-day private tours we have to offer, combining a historical medieval village (Obidos), with a visit to a local winery, combined with a perfect wine tasting from a family-owned estate. 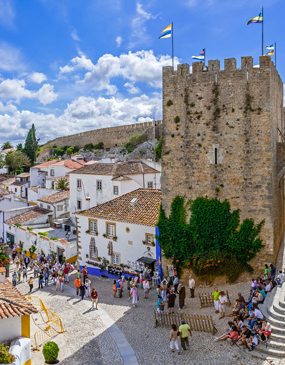 Depart from Lisbon by 9AM or 2PM and visit the medieval village of Obidos, and its beautiful castle inside the walls, founded hundreds of years ago, combined with a visit to one of the best wineries in the region, founded in 1926 on a property from 1871. 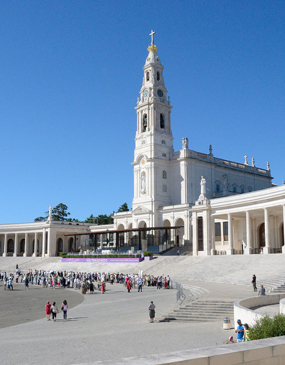 This is a very special private tour for Catholics and Pilgrims, to visit the major highlights of Fatima Sanctuary in the morning period, located just 1h+ from Lisbon, including time for mass at the Basilica in the morning period. Fatima considered one of the most important Catholic Shrines in the world. The tour will follow by a visit in the afternoon to the Holy Eurcharistic Miracle Church of St Stevens in Santarem, where happened the first Miracle of the Catholic Church in the world, back in 1247. Head out on this Half-Day Private Tour to Fatima, recommended for guests with limited time and wish to spend around 1h30m visiting the sanctuary without attending mass. Fatima is considered one of the major shrines in the world, two times St. Peter Square in Vatican, and visited yearly by more than 5 million people. On this Tour, you’ll visit the main Sanctuary, including the chapel of the apparitions and the old basilica. Time for Mass not included on half-day tours. This is the Perfect Private Tour to visit our countryside, EVORA and MONSARAZ, just 1h30m from Lisbon. USATODAY Magazine, considered this region (Alentejo) the BEST WINE REGION IN THE WORLD to visit. 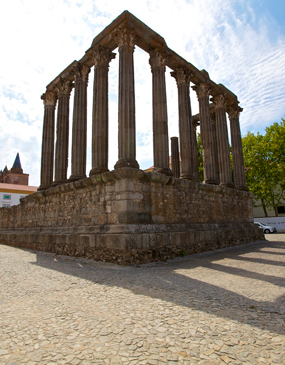 During the day, we will visit the walled city of EVORA, famous for it’s Roman Temple and the Cathedral, before head to Monsaraz Castle, including a wine tasting at local wine cellar. American National Geographic Magazine classified Monsaraz one of the 21 places in the world to be visited and CNN named in 2017 CNN Monsaraz, one of the 7 best hilltop villages in Europe! This is the perfect walking tour of Lisbon to learn more about the Jewish Heritage of the city in a morning or afternoon private tour. Learn from our experienced local guide, the history of the Jewish in Lisbon, dated centuries ago, even before Portugal was a nation. 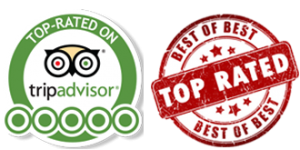 You will get an experienced local private guide with your tour, providing you guiding around the major sights of Lisbon. The morning period will be focused in downtown and the Jewish sights of the city (Old Jewish Quarter, Jewish Memorial, Sao Domingos Church, etc). Just approx 30m from Lisbon, book this Half-Day Private Tour to visit the highlights of the fisherman village of Cascais, considered one of the most beautiful in Portugal, and learn the history behind Cascais and Estoril, famous in the 1800’s when the Royal Family settled their Royal Palace here, and also during the 2nd World War, once Portugal Neutral, where European Royal Families where exiled and German and allied spies would gather during the war. 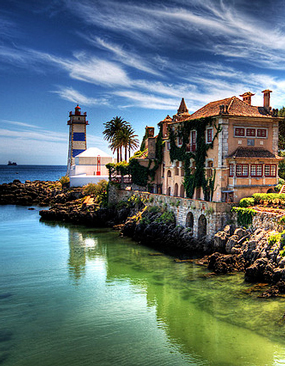 Visit also the Citadel (fortress) of Cascais. After, continue through the coastal road towards Cabo da Roca, the European Westernmost Point for a visit. 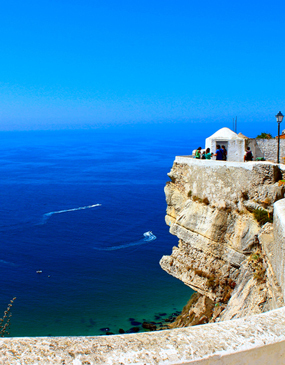 Just 1h from Lisbon, we will visit Obidos Medieval Village and Nazare Fisherman Village (morning or afternoon period). The village of Obidos is one of the most popular in Portugal, built centuries years ago, with the fascinating walls of the castle around the village. Stroll around the old streets and explore explore the town. Continue to the fisherman village of Nazare, famous for its lighthouse of the biggest ever surfed wave in the world (30 meters – 100 foot), and also the church of Nazare, known for the unique statue of our Our Lady of Nazareth, brought from Holy Land 1500 years ago. 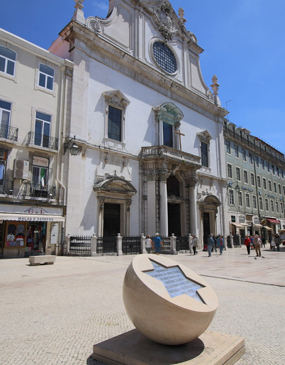 This is the perfect tour to learn more about the Jewish Roots in Lisbon, Portugal and also the Discoveries Period, the Golden Age of Portugal, who had once one of the biggest and longest world empires ever. Learn from our experienced local guide, the glory from the discoveries period, the navigators, and the kings and queens, back a thousand years ago to our days. 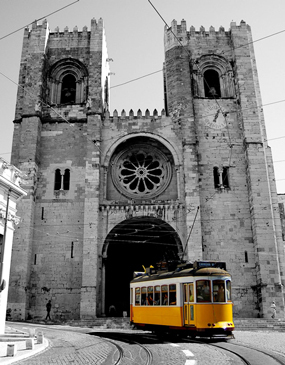 Major sights like the Jewish Quarter of Lisbon, Jewish Memorial and much more during the day. On this very relaxed private tour, northwest of Lisbon (40min) we will visit Mafra, famous for hosting one of the major baroque building built in Europe, and the most famous Royal Palace built in Portugal during the 18th Century, the Mafra Nacional Palace and Convent. Learn from our experienced local guide the history behind this wonderful Royal Palace, including the old convent famous for its unique pipe organ in the world, with the biggest carillon worldwide with 92 bels. After, the tour will continue to Ericeira fisherman village for a sightseeing visit. This is the recommended tour for guests with limited time, who wish to have a short highlight of the city in just 3h. It’s great for your arrival day, providing a breaf/basic introduction to the city in just few hours. On this half-day private tour (3h), you will see some of top highlights of the city, passing by Belem, famous for the Belem Tower, Discovery Monument and Jeronimo’s Monastery, and explore also downtown, crossing around Rossio and Alfama, with the help of our private guide. If wish to spend more than 3h, please choose our Full-Day Private Tour instead.